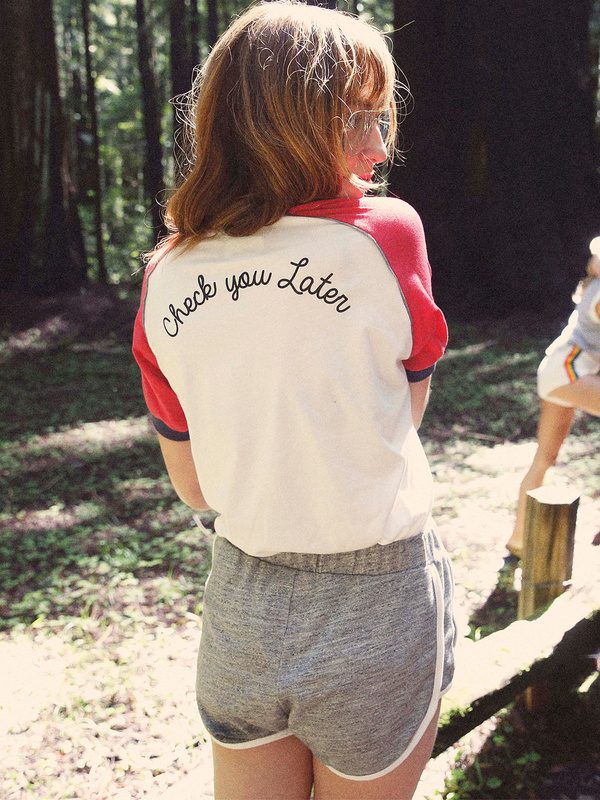 Get dazed and confused in the Check You Later V-neck Ringer Tee. 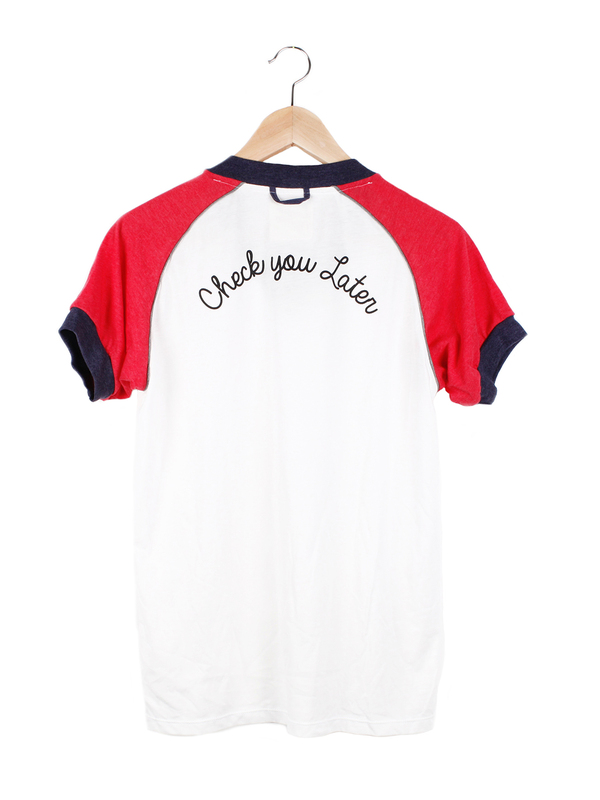 V-neck raglan sleeve tee with "Check you Later" graphic printed across back. Contrast color sleeves with rib neckband and cuffs. Grey piping in raglan seams. 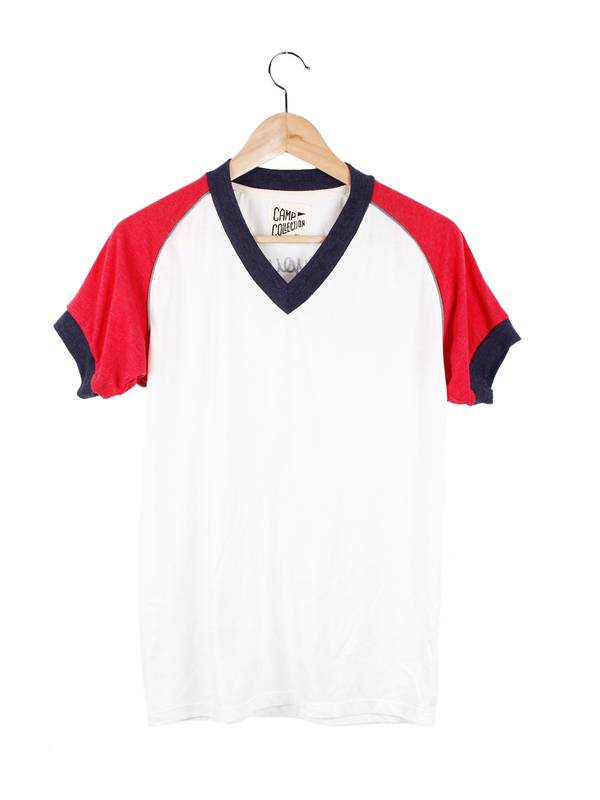 Slightly sheer vintage white jersey. Locker loop at back neck.